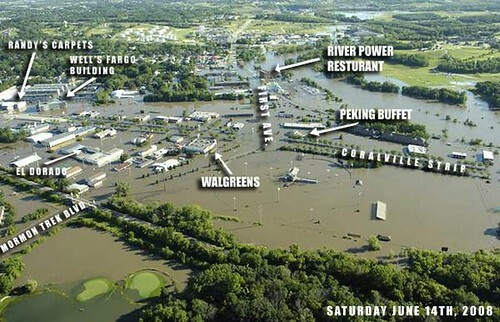 Coralville under water. This photo was annotated by my friend Tony Streeter. The only place you should see water here is in the upper right of the photo. Thanks, Tony!